Background Patients with cystic fibrosis (CF) are at high risk from atypical mycobacterial infections. 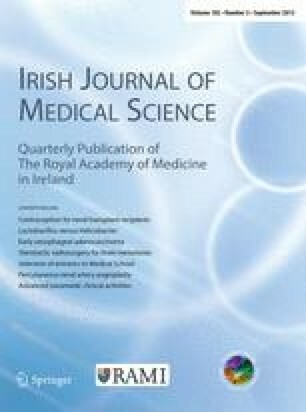 There have been few attempts to delineate the intensity of mycobacterial infection in CF patients in Ireland. Aims To examine the incidence of mycobacterial DNA in an archived collection of genomic DNA extracted from the sputa of CF patients within the Northern Ireland population. Methods One hundred and eighty-two CF patients (66 adults and 116 children) were examined for the presence of mycobacterial DNA in their sputum by a genus specific PCR assay based on 16S rRNA, followed by direct automated sequencing of the PCR amplicons. Results One of 116 (0.9%) children and 2 of 66 adults were positive. Sequence identity revealedMycobacterium xenopi in the paediatric patient andM. xenopi andM. chelonei in the two adult patients. False-positive results occurred in 11 patients (four adults), mainly due toCorynebacterium spp. Conclusions There was a low prevalence ofMycobacterium spp in the CF patient population. All PCR positive results should be confirmed by direct automated sequencing and an alternative specific assay employed. Enhanced molecular screening will contribute in understanding their role as opportunistic pathogens in patients with worsening lung function.